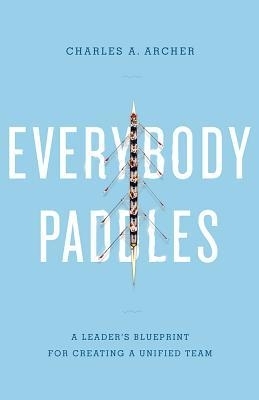 “Everybody Paddles: A Leader’s Blueprint for Creating a Unified Team” by Charles Archer (Greenleaf Book Group Press, $22.95). The questions deal with identifying individual differences and perspectives. We’re all different; yet, there’s a common thread that can sew the differences into collaboration. The thread: Regardless of gender, race, or age, etc., no one succeeds alone. With that in mind, a results-focused captain puts employees in places where their strengths can complement one another’s. This starts by defining success through interdependent functions and processes and measurable objectives and expectations. When employees recognize that the crew’s resources are effectively organized and tasks are well-defined, engagement and trust in leadership follow. Sharing the vision and obtaining employee input in its content and context gets people into the boat, too. While vision explains the destination, it’s not a blueprint. The how unfolds over time as the crew adapts to changing situations — some they’ll control; most they don’t. If it’s their vision, they’ll find a way. Trust in the vision builds via communication. The captain always must operate in three modes — messaging, listening and linking. His/her job requires tell-it-like-it-is transparency. And, given the captain’s tasks include monitoring progress and removing obstacles, two-way and intercrew communication is essential. Using feedback to feed-forward keeps the crew paddling in sync and the boat on course. Recognition keeps employees paddling, too. “People need encouragement and affirmation to stay positive.” By providing it on a regular basis, a paddler knows that the captain knows what’s happening and values their contribution to the crew. Key takeaway: “Purpose provides propulsion.” Everybody paddles when they know the destination creates success for themselves and their team. 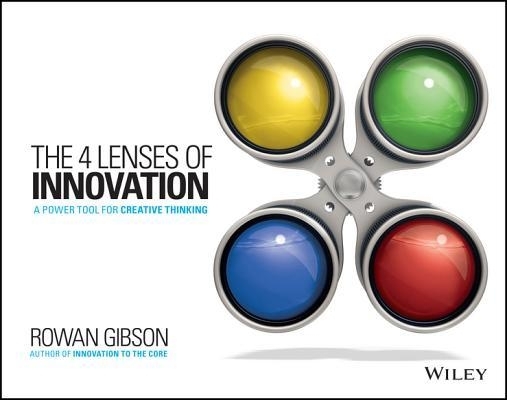 “The 4 Lenses of Innovation – A Power Tool for Creative Thinking” by Rowan Gibson (John Wiley &Sons, $35). 1. “Challenging orthodoxies” deals with disruption. All too often we hear, “That’s the way things are done around here.” By accepting this as the right way, congruent thinking develops into “mental inertia.” As a result, there’s no continuous improvement, nor creativity. Only change gets people thinking. 2. “Harnessing trends” requires a wide field of vision. “Innovation is a race for tomorrow.” You have to look beyond your company and industry to connect the dots of others to yours. Two questions to constantly ask: 1. “What will be the tsunami in our industry? 2. “How can we make sure we ride the wave instead of being washed away by it?” By identifying potential threats early, companies can address them. 3. “Leveraging resources” redefines the three R’s as repurpose, redeploy and recombine. “Develop an elastic view of your company.” Its most valuable assets are what it knows and what it owns. Think about the choices you would make to stay in business if you knew that your industry would not exist in 12 months. By using the new three R’s, you can identify areas where your value can lead to new opportunities. 4. “Understanding needs” of customers provides what’s-next clues. In these days of Big Data and analytics, companies ask customers lots of questions about their needs within the context of their products and services. Innovators look at things from the customer’s perspective; they ask about “unsolved problems, unmet needs and wants.” When you combine the advances in technology and a focus on what you don’t offer that the customer wants, solutions are found. The bottom line: All of the 4 Lenses focus on insight and foresight.